The water from our household tap is generally unsuitable for use as aquarium water unless it has been properly aged and treated. The reason is because fresh water from the tap contains high level of chlorine and the purpose of having chlorine is to kill common microorganisms so that the water will be safe for human consumption. However, chlorine is very much unstable and with heavy aeration generated by aquarium pumps for long period of time(about 24 hours), it will disintegrate and removed from the water. There are actually two options to dechlorinate and prepare your water. 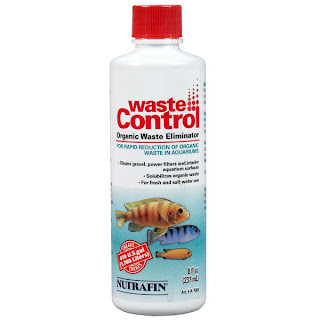 One is to rely on heavy aeration mentioned above and another straightforward and simple method is to simply purchase an anti-chlorine solution from your local fish shop. Even though natural aeration is much more cost saving, I would prefer the latter option because water conditioners like anti-chlorine nowadays not only will eliminate chlorine but will also remove other toxic chemicals and heavy metals as well. However, for the purpose of starting the system from scratch, I will combine and use both methods. Start the aquarium filter and air pump, making sure that heavy aeration with a lot of bubbles are generated. Plug in the heater and adjust your water temperature accordingly depending on the types of fish you intend to rear. Check for pH and water hardness and again adjust using chemical solution available from local fish shop according to fish requirements. (Use the guideline of pH 6.8-7.4 while for water hardness use gH 3º - 6º for tropical fish like cichlids, neon fish and gouramis and 6º - 11º for goldfish, guppies and swordtail) Water Test Kits will help you determine and act as indicator. Start to age and populate the water with beneficial bacteria. 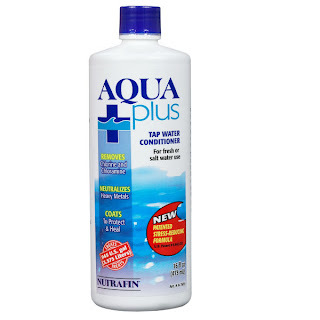 A good source is to get a scoop of aquarium water from established aquarium tank and mix it to your new water. Leave the water for two weeks for the bacteria to propagate. Or either way, you can also consider using a bacteria starter kit. Well, that’s it. Before you head to your local fish shop and purchase you first aquarium fish, check again the pH and water hardness to confirm whether there’s any fluctuation above the healthy range. Adjust again if there’s any. Next...Understanding Nitrogen Cycle and learning How to select and buy the right type of fish and introducing your new pet to its new home.